To celebrate my 40th birthday, you may recall that we spent a few days at the Fisherman’s cottages in Whitstable. Andrew’s friend Emma had suggested that we visit The Sportsman pub in nearby Seasalter for a celebratory dinner, so I emailed them to make a reservation the week before we were due to visit. 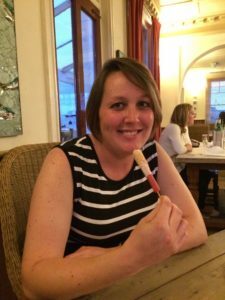 I was surprised to hear that they only had one table left, which would have to be shared with another couple, but when they heard it was to celebrate my 40th birthday and our babymoon, they switched the tables around and allocated us our own table, which I thought was very kind of them. The day before our reservation we drove to The Sportsman to check how easy it would be to get to from Whitstable (and, more importantly, how easy to drive home from as I’d be designated driver). Pulling into the car park, I have to say I was disappointed by what I saw: the pub looked frankly a bit grotty and absolutely not the kind of place I’d imagine spending my 40th birthday celebration meal. Andrew and I looked at eachother, gulped, and tried to reassure ourselves that everything would be fine: Emma had recommended the place to us, it was fully booked on a Tuesday night, it has a Michelin star, reviews were excellent, etc. But we both admitted afterwards that we were very dubious about my birthday meal. However, when we pulled into the car park the next evening, the place seemed to be transformed, with candlelit tables and a welcoming bar. 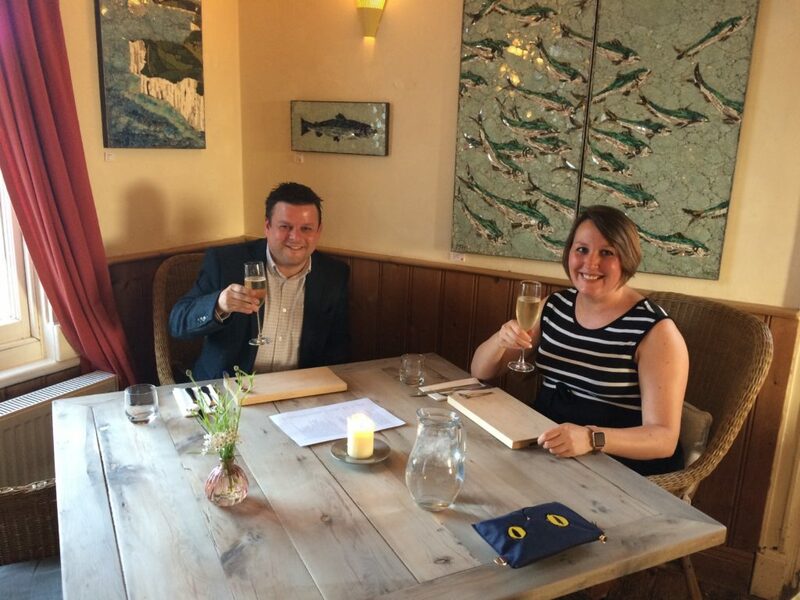 The staff immediately made us feel at home, and settled us into our corner table with a glass of champagne each. 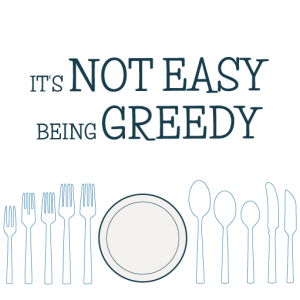 We had chosen to have the taster menu, which, it turns out, is not actually a published menu, so you are provided with each course without knowing what you are going to get next. 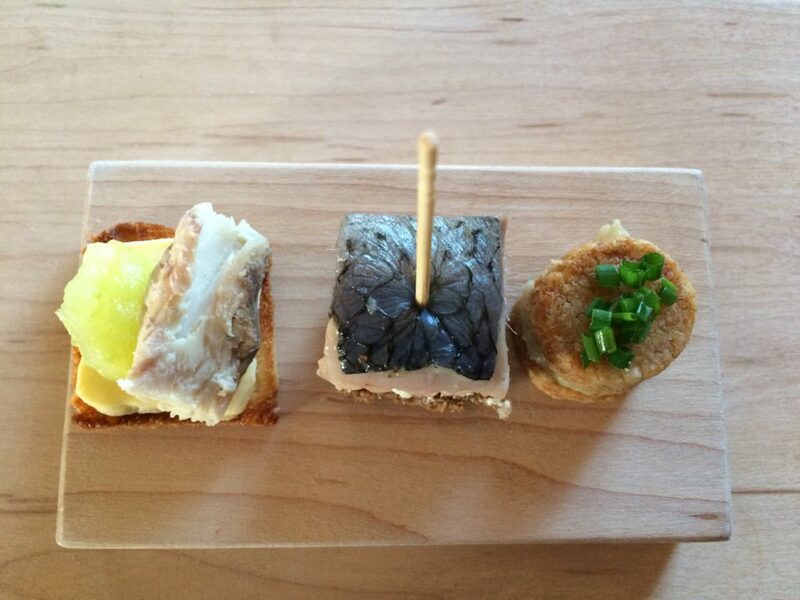 This was a fantastic idea as we were not pre-occupied with what was coming next, and left at the mercy of the chef. What a fortunate position for us to be in. I loved it that the food they prepared for me didn’t feel like a compromise for a poor pregnant lady. 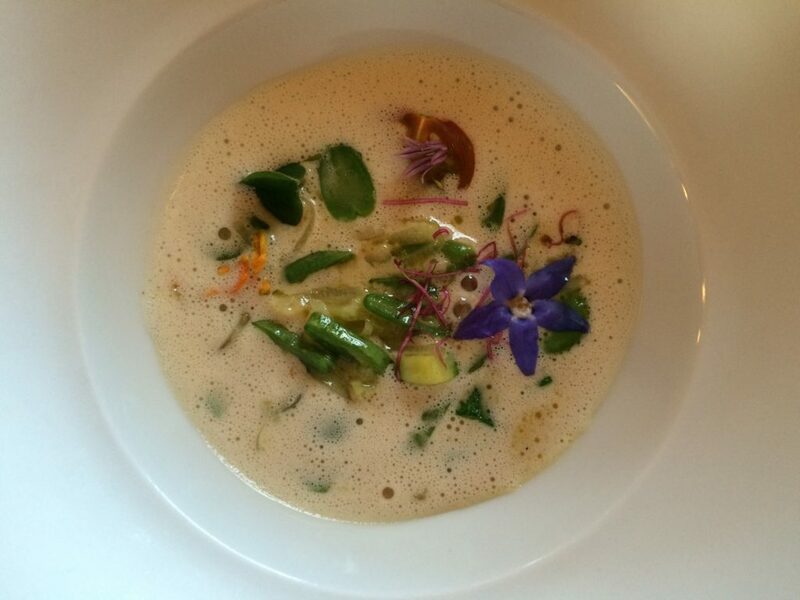 Next up was a vegetable soup made with garden vegetables and edible flowers. This is the kind of thing that Andrew would expect to hate, but he actually adored. The broth was creamy and rich, and packed with delicate slices of al dente vegetables such as courgettes and broad beans – perfectly seasonal. 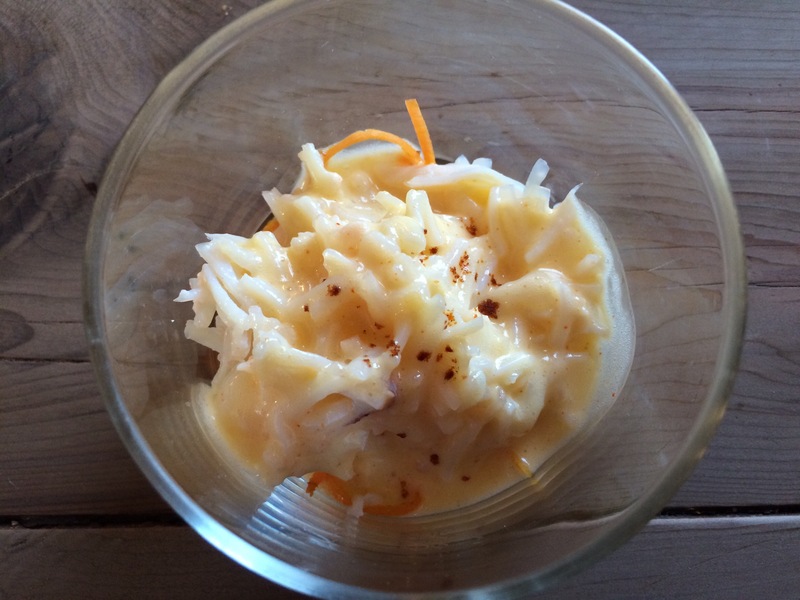 Next up was a crab and carrot dish which was lightly spiced and rich with hollandaise. I did find a piece of shell in mine, which I left on the side of the bowl, and the waitress was very apologetic, but it didn’t mar the overall experience. 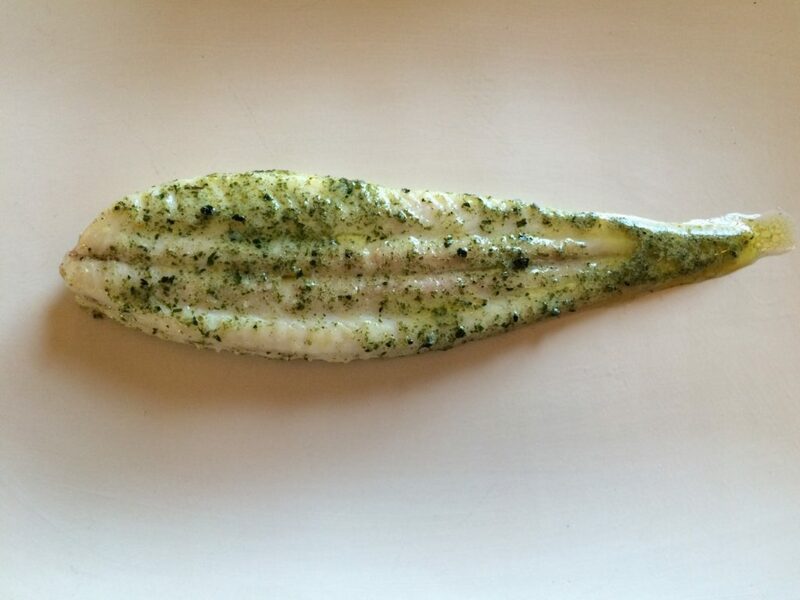 Then was the famous slip sole dish, coated in seaweed butter. Oh wow, this was my absolute favourite dish of the night. I had never eaten slip sole before: it’s a small fish and very easy to scrape the flesh off the bone. 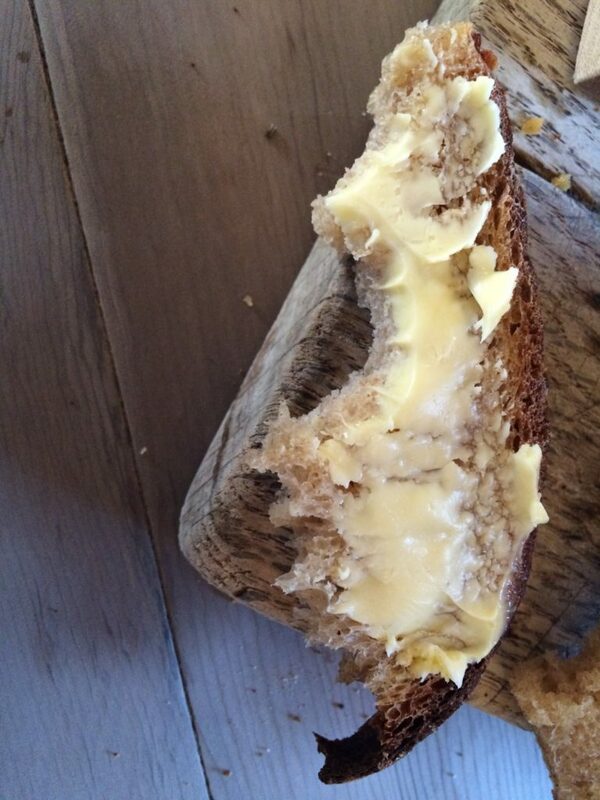 The seaweed butter was not at all greasy, and had a delicate flavour of the sea. 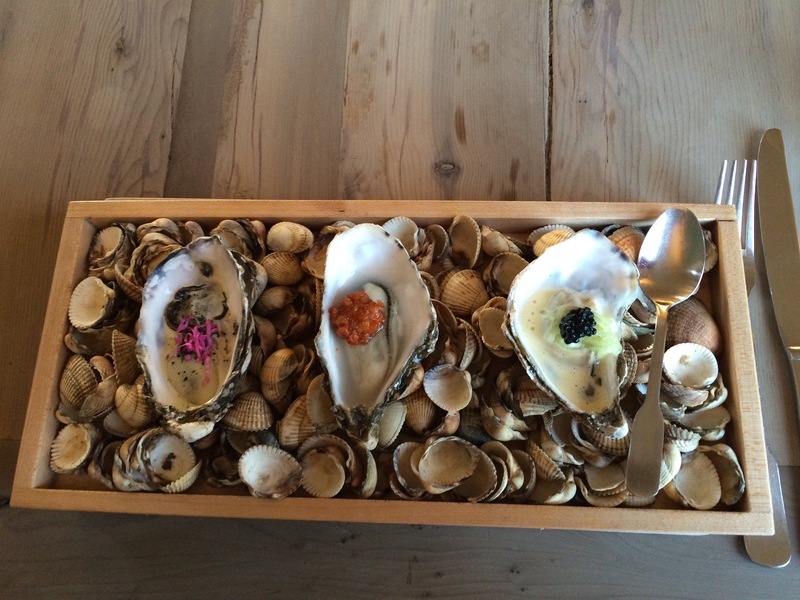 It turns out the dish is the signature dish of the chef and we could see why, as the dish is pure seaside. 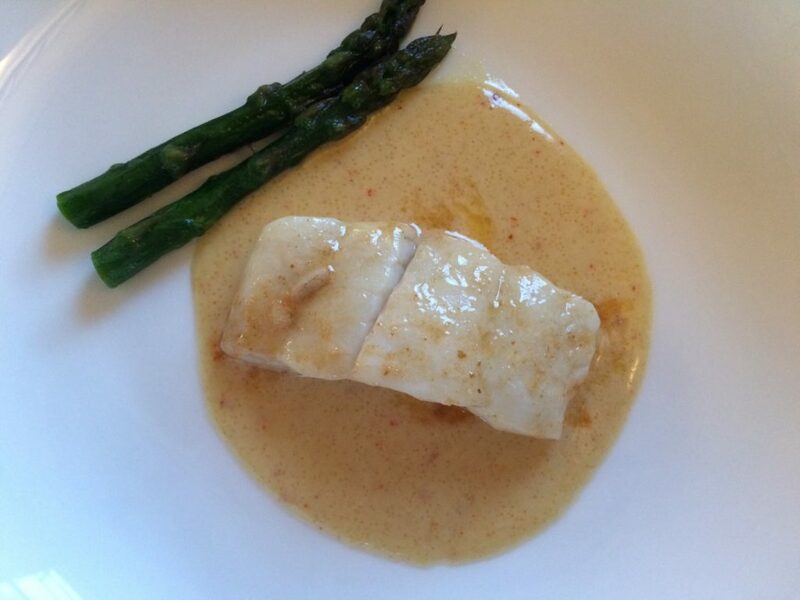 Next up was another fish dish of braised brill with smoked roe sauce, served with asparagus. 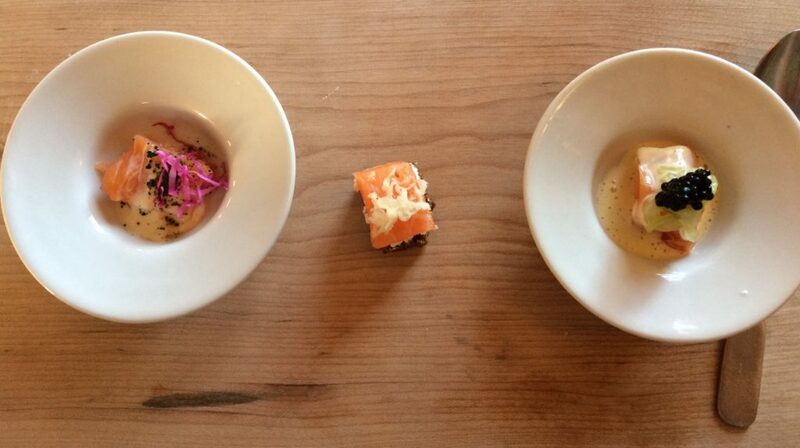 The sauce was richer than in the previous dish, and a beautiful pink colour from the roe. Luckily there was some more bread to allow me to mop up the sauce (although I was really starting to get full by this point!). 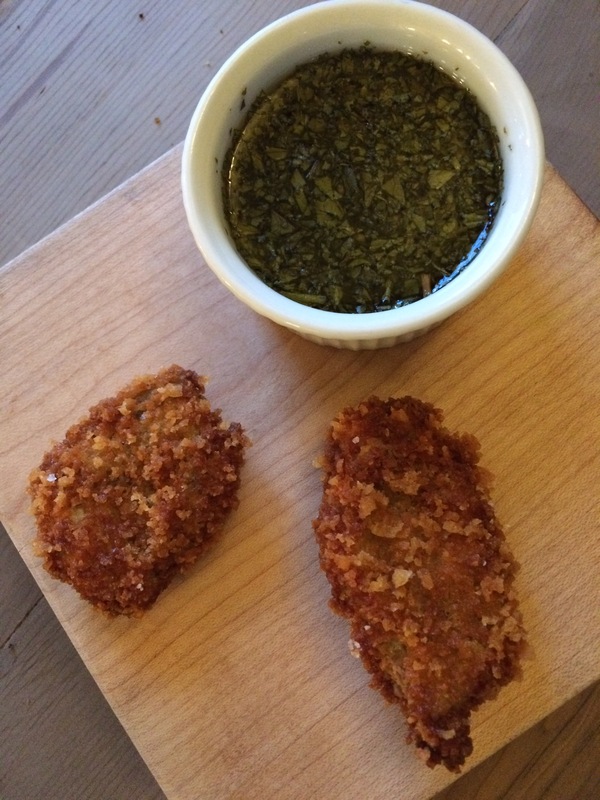 Then along came little morsels of panko breadcrumbed lamb, served with a minty sauce. 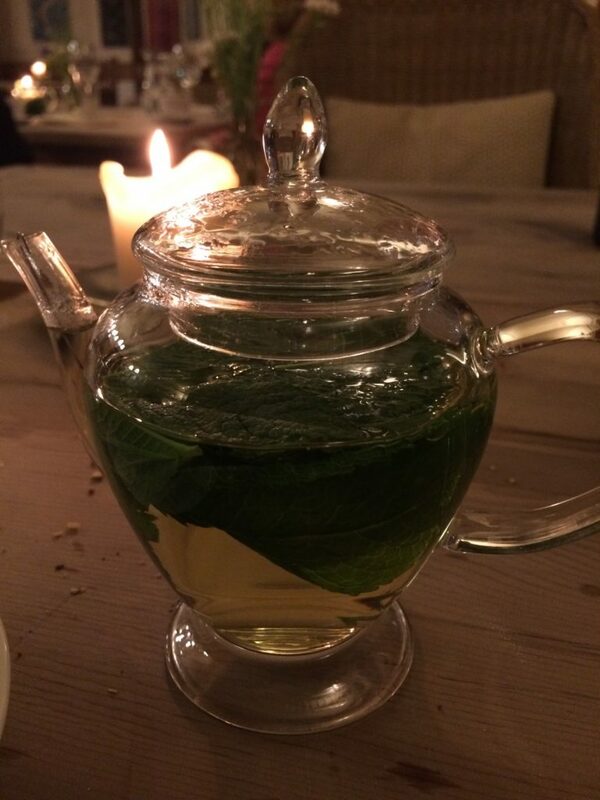 The sauce was a big favourite of mine as it tasted like mint jelly, which I much prefer to vinegary mint sauce. Andrew isn’t so keen on sweet sauces, so I ate quite a lot of the sauce with my portion. The lamb itself was crispy on the outside but lovely and juicy (and yes, a bit fatty but in a good way) on the inside. It was nice to have some meat after all of the fish. More lamb came next in the form of roast saddle, and this would have been my favourite dish had we not had the slip sole. 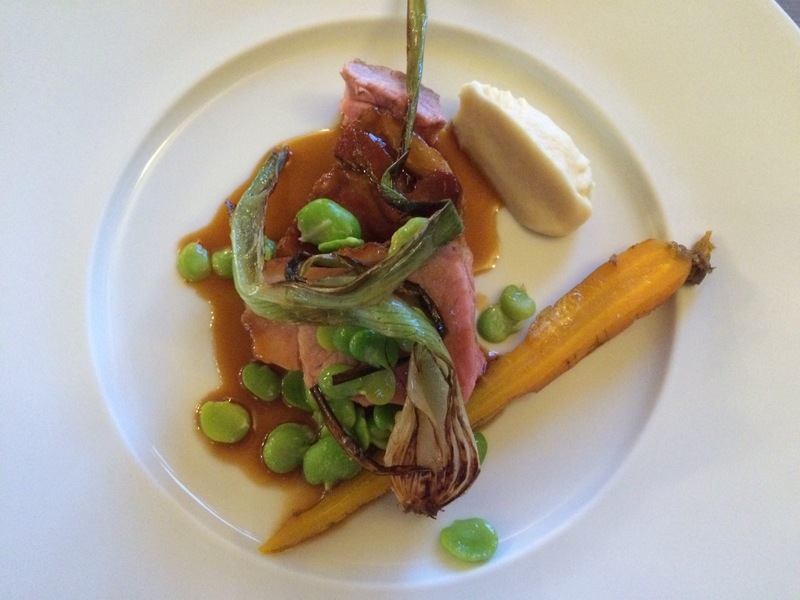 More seasonal vegetables from the garden accompanied the lamb, including carrots and shelled broad beans. 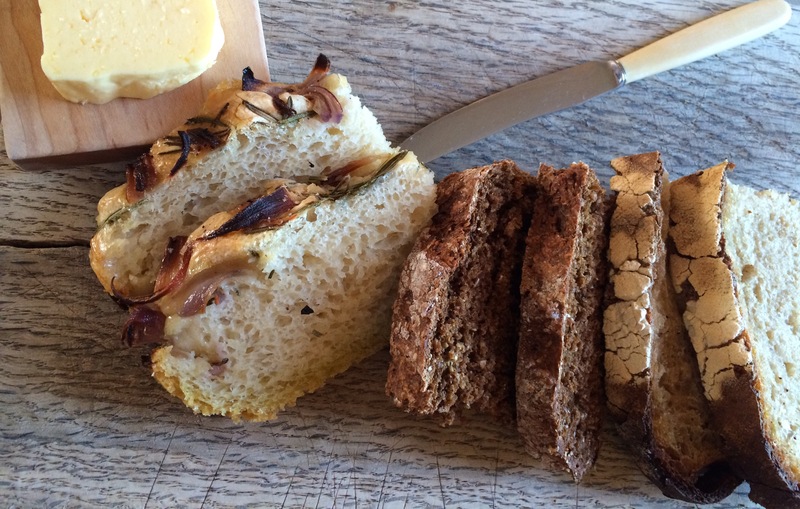 The gravy with the lamb was lovely and sticky and flavourful (mopped up with more bread – how did I find the room?! ), and cooked slightly pink, which I didn’t mind as clearly the local lamb was of excellent quality. 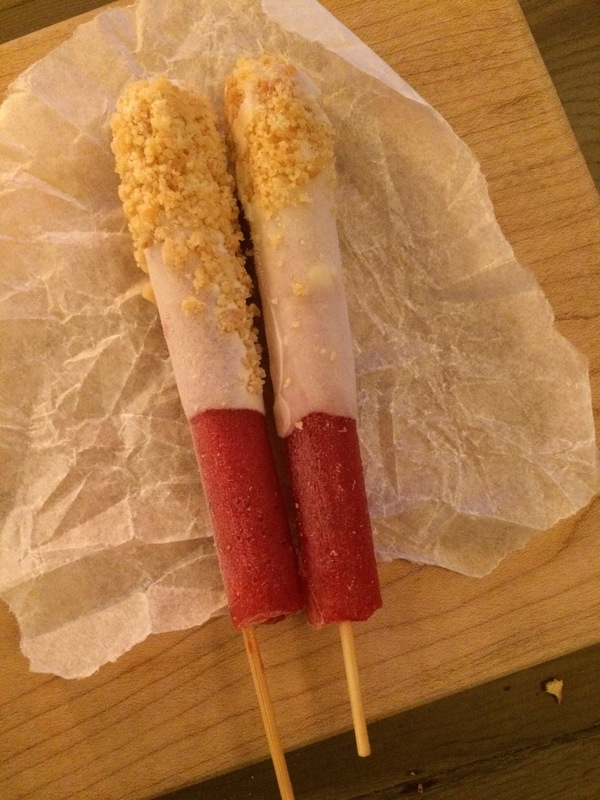 After a little break, we were brought a pre-dessert palate cleanser of strawberry ice lollypops. They were such a fabulous idea as they were just lightly flavoured and not at all sweet, and really did cleanse our palettes. Then for the pudding after our epic meal, which was a rhubarb souffle with rhubarb ripple ice cream. Now, Andrew wasn’t keen on this because he’s not a fan of eggy puddings, but I thought it was utterly delicious. There was a lovely light crust on the souffle and it was light as a feather inside. 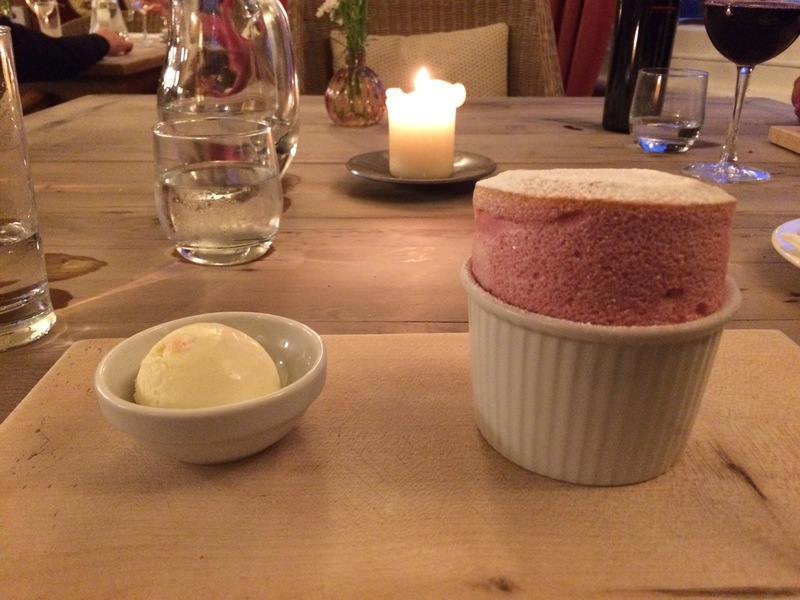 The souffle again wasn’t too sweet and carried the earthiness of rhubarb so well. I even ate a little bit of Andrew’s so that the chef didn’t think we hadn’t enjoyed it. With mint tea next to help digest all of the amazing food, we even received some homemade petite fours which I must admit I did try a bit of. By this point I was totally full and knew that Gaviscon would be on the menu later, but I couldn’t help myself. 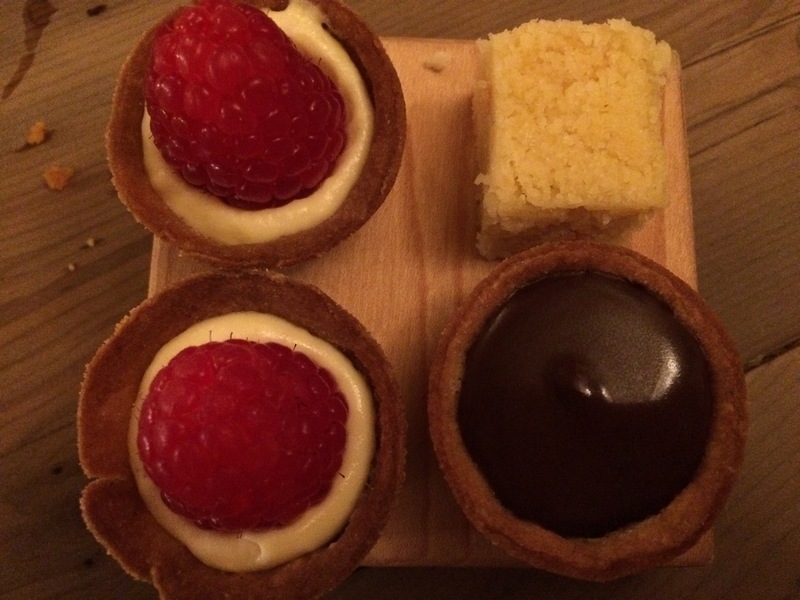 And I had saved calories by not drinking more than a glass of champagne …! What else can I say about The Sportsman? 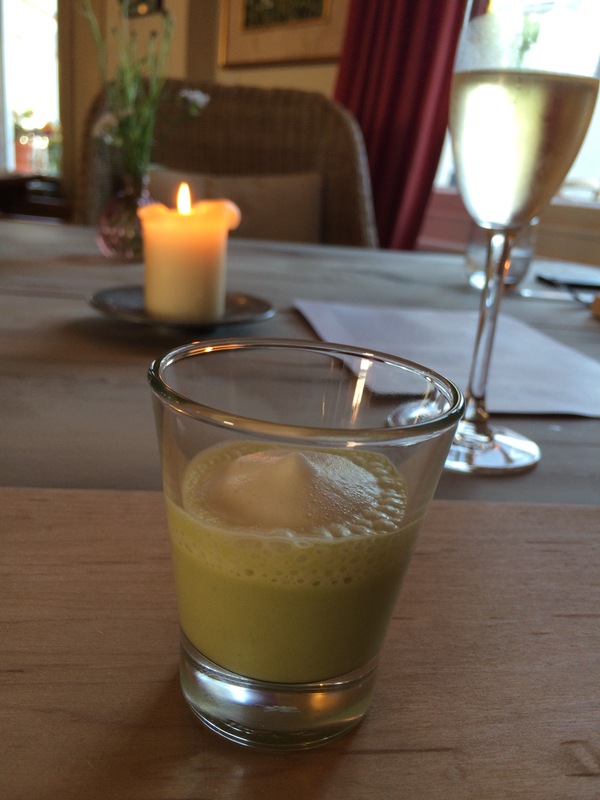 It was one of the best meals we have had out in a very long time, and we felt guilty for our first impressions (although this subsequent article does suggest we are not the only ones with this pre-conception, and it has subsequently won best UK restaurant). 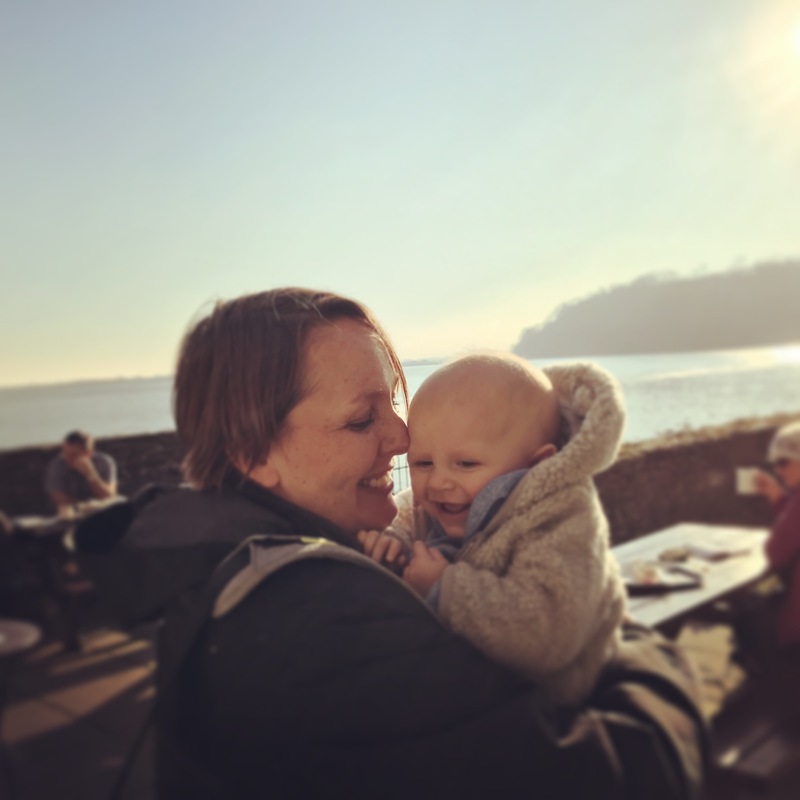 We are already keen to go back and stay at the fisherman’s cottages in Whitstable with the little one, and return to The Sportsman for a family meal. Not only was the food spectacular, but the atmosphere was warm and friendly, and I would recommend it to anyone visiting the area. Andrew treated me to my meal so it would be wrong of me to disclose the bill, but the tasting menu comes in at £65 per person which is money well spent. 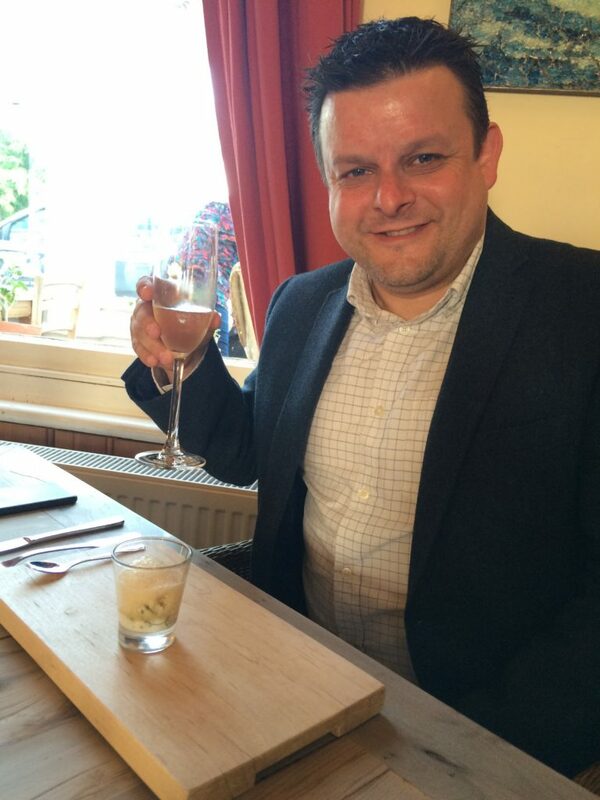 Andrew thoroughly enjoyed the red wine he picked from the list as well – it was a well balanced wine menu with a good mix of prices. If you get the chance, please do go to The Sportsman – it’s a real gem of a place and there’s no doubt we’ll be back there again some time.